Delegation of the Military Medical Academy composed of Dean of the MMA’s Faculty of Medicine of the University of Defence in Belgrade Colonel Prof. Dr. Nebojsa Jovic and Head of the National Poison Control Center Prof. Dr. Slavica Vucinic, who is also the Secretary of the Pan-European working group of the International Committee on Military Medicine (ICMM), had a remarkable participation in the 41st World Congress of Military Medicine and the General Assembly of ICMM, from 7 to 22 May 2015 in Indonesia (Bali). President of the Scientific Committee of ICMM, Major General Prof. Dr. Marc Morillon emphasized that there was a problem of low scientific level of world congresses and that the aim of ICMM is to seriously work on it in the future. The Congress registered 748 participants from 80 Member States, as well as observers from several countries. The Congress took place in the form of plenary sessions, panel discussions, workshops and poster sessions. The main topics were: the threat of CBRN agents, management of casualties in mass disasters and humanitarian missions, malaria in modern military medical services, infectious disease in specific military population. Four plenary sessions were held: "Ebola hemorrhagic fever," "Peacekeeping forces in humanitarian operations and management of casualties in mass disasters", "The Dangers of CBRN agents" and "War surgery". Colonel Prof. Dr. Jovic was the moderator of two plenary sessions, and at one he had an oral presentation. Prof. Dr. Vucinic had a presentation at the session on CBRN agents. Both presentations were met with great interest of the Congress participants. Also, prof. Vucinic, as the Secretary of the Pan-European working group submitted a report on the working group activities for the previous period when the 3rd Pan-European Congress of Military Medicine was held from 2 to 6 June 2014 in Belgrade. Congress was excellently rated by ICMM as well, having had a very high scientific level. During the Congress the Serbian delegation had numerous meetings with foreign representatives during which they discussed the forms of cooperation in the fields of treatment, education and scientific research with the Military Medical Academy. ICMM is the leading international organization in the field of military health care consisting of 105 Member States and four Observer States. Established in 1921 in Brussels under the name of the Standing Committee of the International Congress of Military Medicine and Pharmacy, the founding countries were: Belgium, Brazil, France, Great Britain, Italy, Spain, Switzerland and the United States. 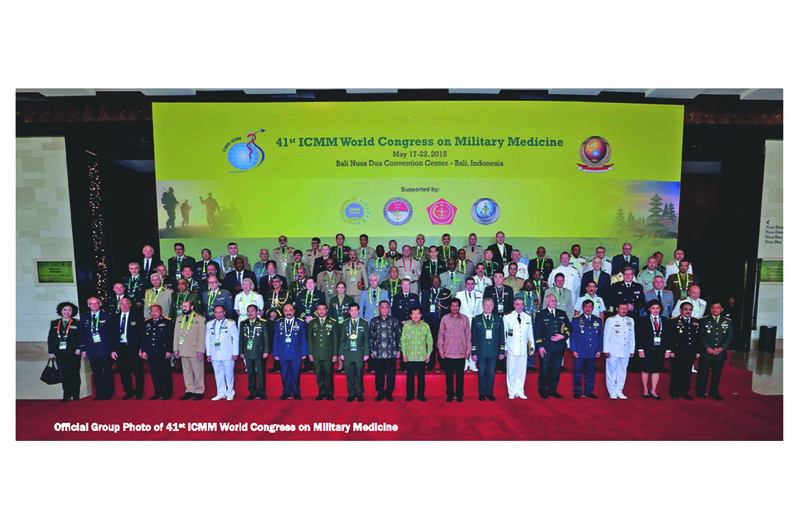 Since 1990 the International Committee of Military Medicine got its present name. The functioning of this international organization is governed by the Statute and the basic principles referred to the professional cooperation of people around the world whose tasks are to take care of the wounded and sick, active exchange of knowledge in the field of military medicine through various forms of military medical cooperation, to strengthen mutual understanding, tolerance and coexistence, to organize advanced courses, insist on respect for and implementation of international humanitarian law in armed conflicts, maintain contacts between military medical services of countries in the world and a number of other missions that take place under the auspices of this organization.